This is a set of two JConcepts Choppers 2.8" Tires. After the great success of the JConcepts Choppers tire, drivers have asked for an all-terrain alternative aimed toward high-end bashing performance in the 2.8” dimension. 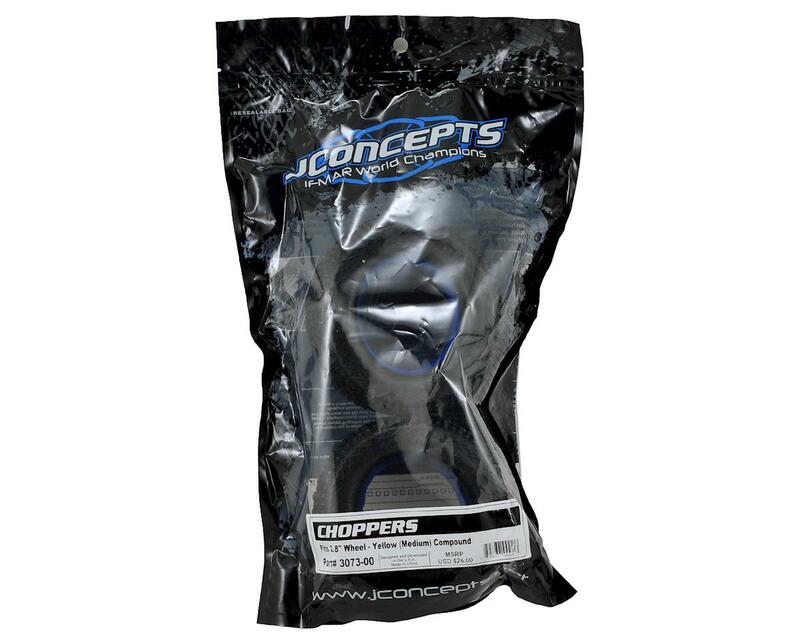 Inspired from some of the most successful JConcepts Racing Tires, the Choppers have the look, fit and finish of a hard-core racing tire on steroids. Whether you are an experienced racer or beginning driver, the Choppers are designed to tear up surfaces ranging from grass and gravel to dirt and asphalt. The tall and burly square lug design of the Choppers provides a deep tread depth for heavy footing even in the toughest conditions. The recessed lugs give a multitude of fresh edges to maintain consistent traction during the initial phase of tread life. The tread alignment and spacing provide massive forward bite acting as a paddle in loose dirt or sandy bashing environments. The outer sidewalls include heavy JConcepts X-Tread support ribs to aid traction in tight conditions or while against sharp or angled objects. The inner side-walls have built-in ribbing for added tire to insert support increasing cornering consistency. Heavy internal waffle pattern carcass ribbing strengthens the tire structure. Included, the highly durable Profiled “closed cell” inserts provide the utmost support for high-speed turns while also minimizing tire expansion in straight-line drag situations. 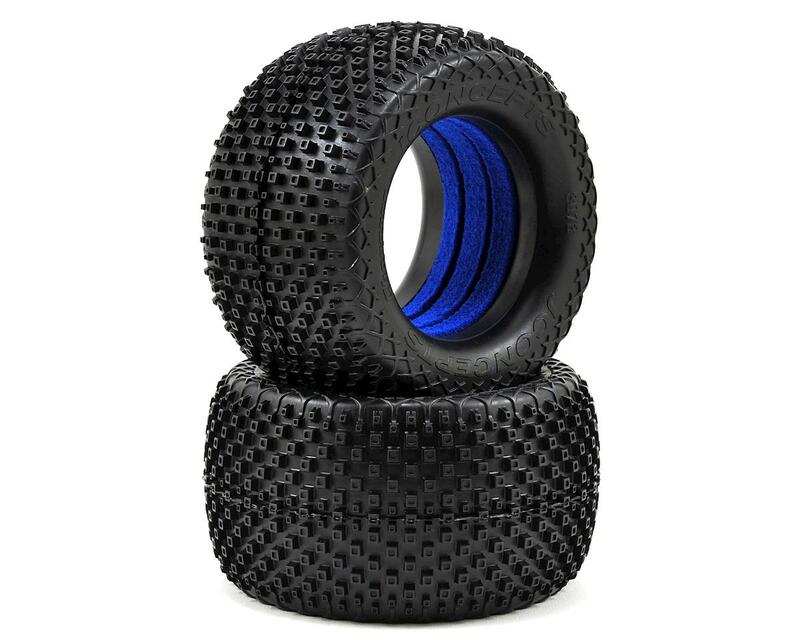 Chop down the competition with JConcepts; choose the all-terrain Choppers tire.